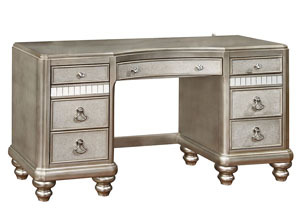 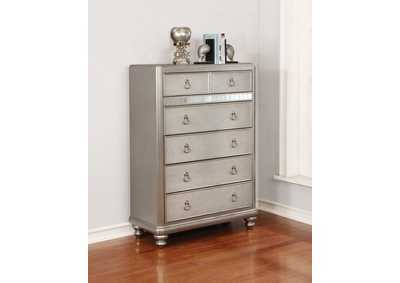 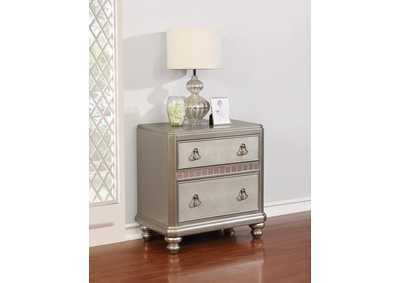 Primp and prep for the day in style with this Bling Game Seven-Drawer Vanity Desk. 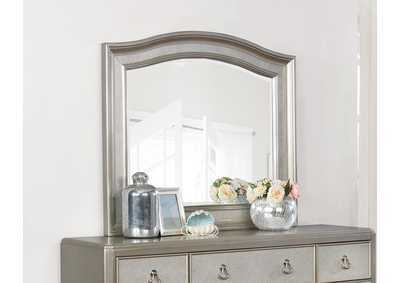 With a metallic platinum finish and highlight glaze, this vanity desk features mounted mirrors to create a beautiful glam effect. 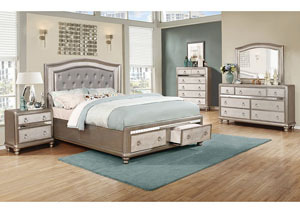 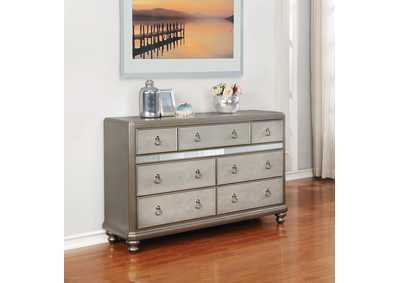 Felt-lined top drawers help safely store valuables, and a jewelry tray is included in the desk. 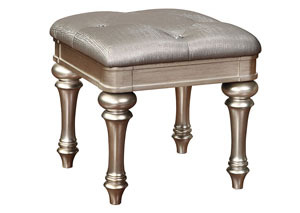 A matching upholstered stool and Vanity Mirror are also available as part of the Bling Game Collection.